Who hasn’t been touched by Jim Henson’s Muppets? 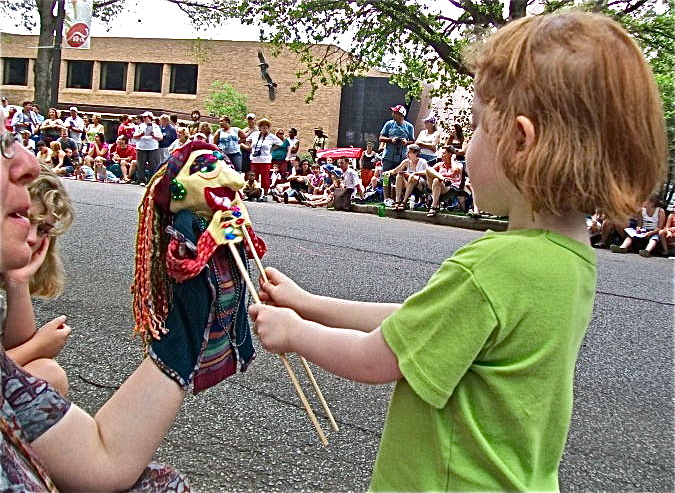 Inspired by his genius, Veteran of Parade the Circle at Cleveland Museum of Art, Linda Zolten Wood delights in exploring character development through creative puppetry, and honors Earth Day everyday by using upcycled and found materials. Team up with fellow students to create an original performance with their characters.